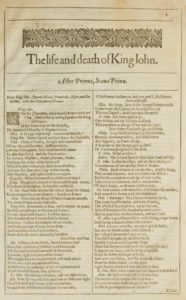 Washington Post recently praised “Folger’s ongoing campaign to expose audiences to the astonishing range of Shakespeare’s mind and interests,” but did you know that these productions of Will’s lesser-known works have a wealth of corresponding resources available to you through the Folger Shakespeare Library? Here are a few ways audiences can get closer to the action and brush up their Shakespeare before (and during) a performance. Many people come in contact with the Folger for the first time in the classroom through our educational editions of Shakespeare’s plays. Not everyone realizes these editions are also available online through Folger Digital Texts. 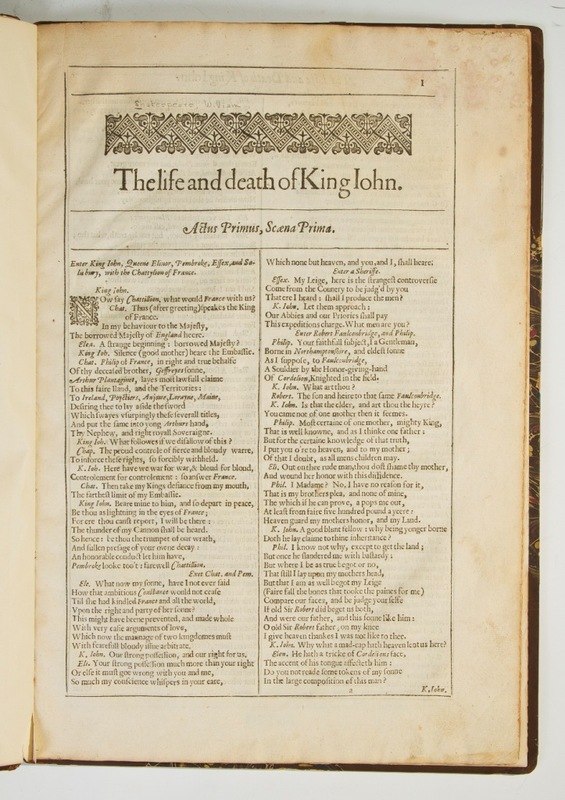 Searchable, downloadable, and using the same page and line numbers as the print editions, Folger Digital Texts are a wonderful way to get familiar with the story before seeing a show (or looking up a favorite line or passage afterward!). They are also an excellent way to explore how plays are developed in rehearsal, as often you’ll notice how Folger Theatre productions cut, alter, or rearrange Shakespeare’s scripts. In some case, such as King John, extra material is even added (we’re pretty sure you’ll be able to spot the new bits). New for King John, Folger Theatre is proud to introduce its audiences to EnCue. This innovative–and free–phone application is a wonderful way to enhance your performance experience. Want to know where to find a Pantagenet family tree, or find out which cases in the Churchill’s Shakespeare exhibition to check out during intermission? EnCue offers helpful tips for things to look out for while at the theater, as well as highlighting related collection items and programming you won’t want to miss. Another brand new resource we are introducing is Folger Topics Pages, which allow people to explore individual aspects of the Folger Shakespeare Library in depth, from plays to exhibitions to the remarkable facets of Shakespeare through history. 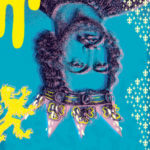 King John is the first play available, and is a treasure trove of bite-sized insights into Shakespeare’s complicated political drama, including fast facts, a historical timeline, and links to podcasts and blog posts that can take you on paths of discovery from performance history to censorship to Shakespeare on film. Stay tuned for more insights into Folger Theatre’s King John, which is on stage through December 2. For tickets and more information, visit us online or call the Folger Box Office at 202.544.7077. Directed by Aaron Posner; scenic design by Andrew Cohen; costume design by Sarah Cubbage; lighting design by Max Doolittle; sound design and original music by Lindsay Jones; production photography by Teresa Wood.